ROB Crosby gives his thoughts on this weekend's #NRLFinals meeting between the Sydney Roosters and the Brisbane Broncos. ROB Crosby takes a look at this weekend's game between the Newcastle Knights and the Cronulla-Sutherland Sharks. ROB Crosby gives his thoughts on this weekend's meeting between the Manly-Warringah Sea Eagles and the Penrith Panthers at Lottoland. PRODUCING three tries in the final 15 minutes to overcome an eight-point deficit, the North Queensland Cowboys have outlasted the Wests Tigers 22-14 in front of 9,346 fans at Campbelltown Stadium. 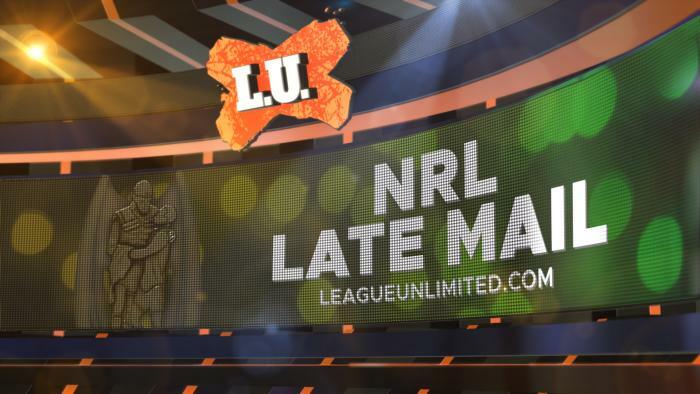 GET all the Late Mail ahead of tonight's clash between the Wests Tigers and the North Queensland Cowboys. ROB Crosby casts his eye over this weekend's battle between the Gold Coast Titans and the Canterbury-Bankstown Bulldogs. ROB Crosby gives his thoughts on the upcoming battle between the Canberra Raiders and the Newcastle Knights. ROB Crosby previews this weekend's game between the South Sydney Rabbitohs and the Warriors at ANZ Stadium. ROB Crosby takes a look at this weekend's meeting between the Parramatta Eels and the Newcastle Knights. ROB Crosby looks at the upcoming game between the Newcastle Knights and the Warriors at McDonald Jones Stadium.